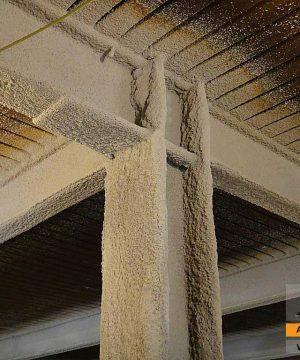 Spray-Applied Fire Resistive Materials (SFRM) are mineral-based materials used as passive fire proofing systems in the buildings. These materials main use is in insulating steel, metal decking and other assemblies from the high temperatures found during fire. 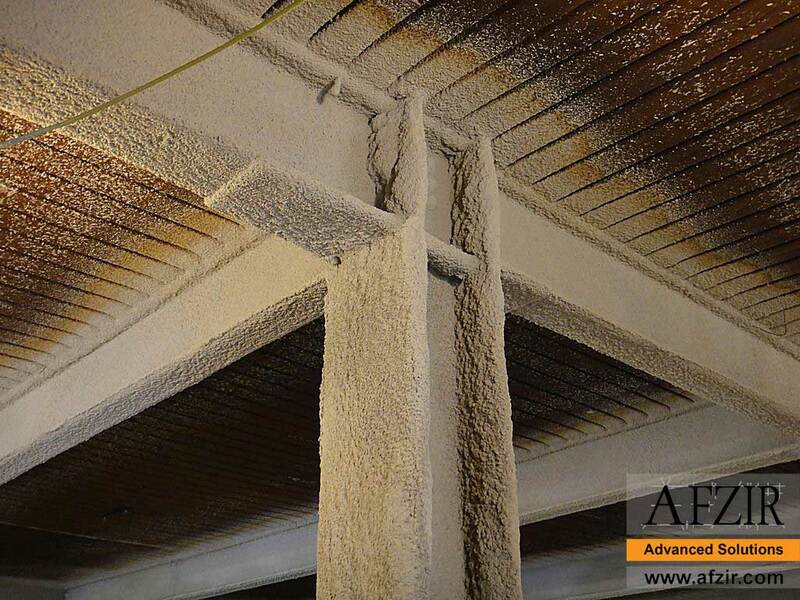 Afzir low density SFRM is an inorganic, environmentally friendly, Portland cement- based formulation that provides superior fire resistance for structural steel and concrete in commercial construction environments. 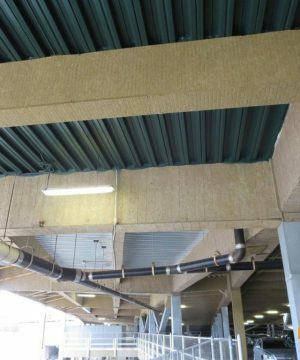 This is the product of choice particularly when exposure to severe weather conditions during the construction phase is necessary, or when application efficiency, along with excellent thermal and acoustical insulation properties are desired. Afzir low density SFRM is the only low density product that is classified as “investigated for exterior use” by Underwriters Laboratories, thus allowing it to remain exposed to extreme weather conditions during the construction process. 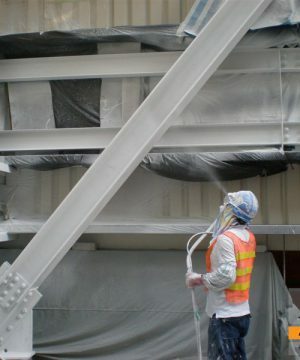 Afzir medium density SFRM is a Wet Mix Spray-Applied Fire Resistive Material (SFRM), designed to provide fire protection for structural steel where higher levels of physical abuse or traffic may be anticipated. This product is a Portland cement based formulation which provides protection in virtually any environment where a medium density material is specified. 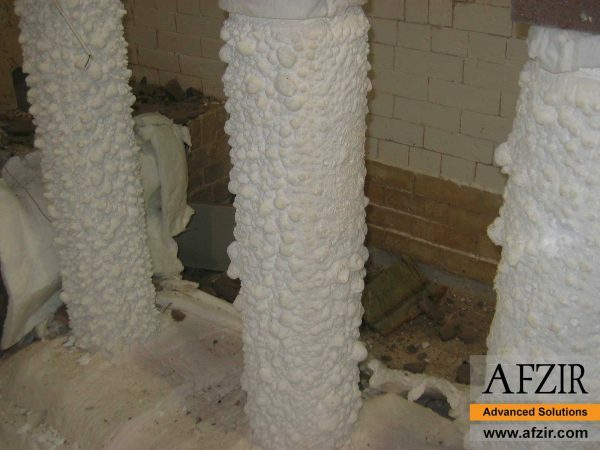 The thermal performance advantages of Afzir medium density SFRM result in reduced installed costs and provide industry leading physical performance and application efficiencies that are unsurpassed. Afzir high density SFRM is the preferred choice nationwide for use in Petrochemical and other heavy industrial facilities. Its unparalleled performance over its history has been backed by its extensive fire testing easily meeting every major specification worldwide. 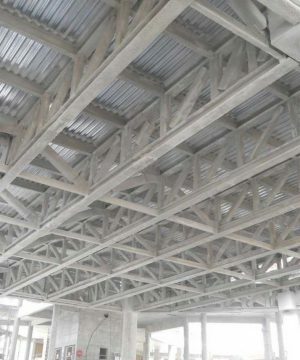 Its exceptional thermal performance and durability has allowed it to achieve its reputation for being the most reliable and proven material in the industry. The lightweight and durable composition of Afzir high density SFRM provides the required fire protection with efficiency, predictability and dependability not available in concrete. Afzir high density SFRM provides efficient, reliable, durable and comprehensive protection to structures within petrochemical facilities. 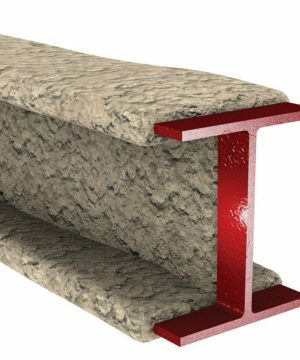 Its superior physical properties are demonstrated by its ability to withstand extreme industrial environments and to provide fire protection in the event of a catastrophic fire. The Afzir high density SFRM system has been specifically designed for use on steel beams, columns, vertical and horizontal steel vessels, and vessel skirts. 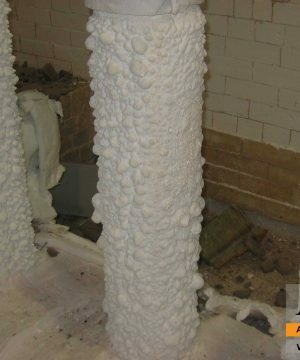 Each structure within the facility requires its own unique step-by-step process.